Topgolf is bringing our iconic experience to epic stadiums and arenas across the country for a limited time! It's unlike any golf game you've played before, featuring giant targets on the field, Toptracer Range technology so you can accurately track your golf ball like a pro, and spacious hitting bays so you can play with your squad. Expect the usual scene from gameday including a lively crowd, delicious eats, and cold beers, but with the benefit of great music and the opportunity to challenge your friends to addictive, point-scoring golf games that anyone can play. More Topgolf Crush locations are coming! 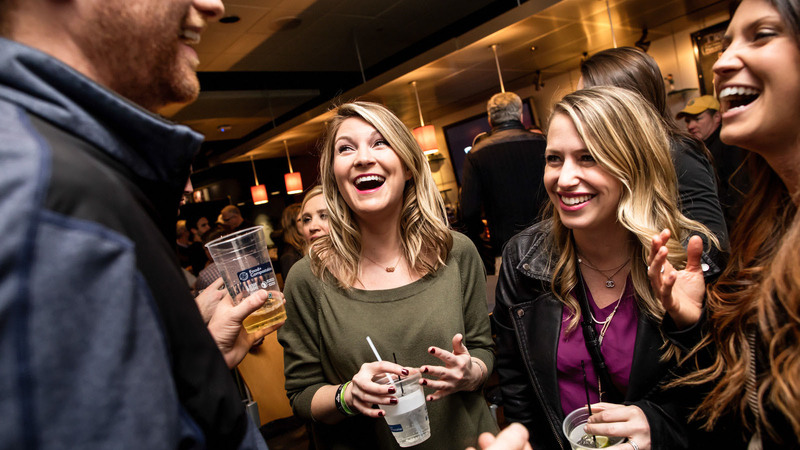 Follow Topgolf on social media to find out when you can Crush it at a stadium near you. Each tee time is one-hour long. Guests will have time to hit a few practice shots before the game begins. When it’s your turn, you hit a golf ball into one of 6 targets ranging from 40 to 150 yards away. Every section of every target has a point value and our Toptracer Range technology computes your score based on the accuracy and distance of the shot and then sends the score to your bay screen. Players take turns hitting 5 balls in a row and accumulates points by hitting targets. The 5th ball in each game has a point value of 2X. Players rotate through after their allotted 5 shots. Up to 6 players can play a game and played at a reasonable pace, 6 players can complete 4-5 games. Each bay is equipped with Toptracer Range ball-tracking technology and game screen much like our permanent Topgolf venues. You will feel like a pro when you see your every shot being traced in the virtual game environment on the game screen right behind you. The game system automatically tracks points you score so you can compete against your friends in the same bay and get on the event-wide leaderboard. You can win prizes for getting the highest score of the day. Our giant interactive targets light up the field at night and each time your shot hits the target will trigger a flickering light show in the target and a special sound effect. For groups of 18 or more guests, we can provide an upgraded event experience with premium amenities.